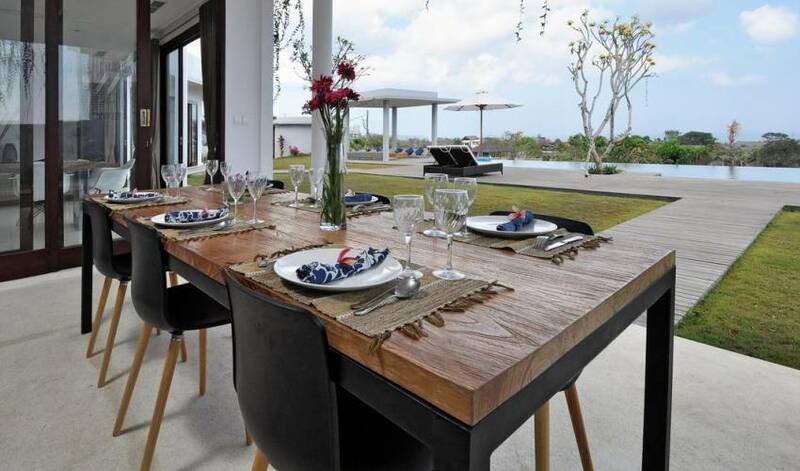 Brand new Villa 384 was built with a soft and modern design on the white and grey colors, with a lot of spaces to relax and admire the beautiful Sunset and full ocean view. 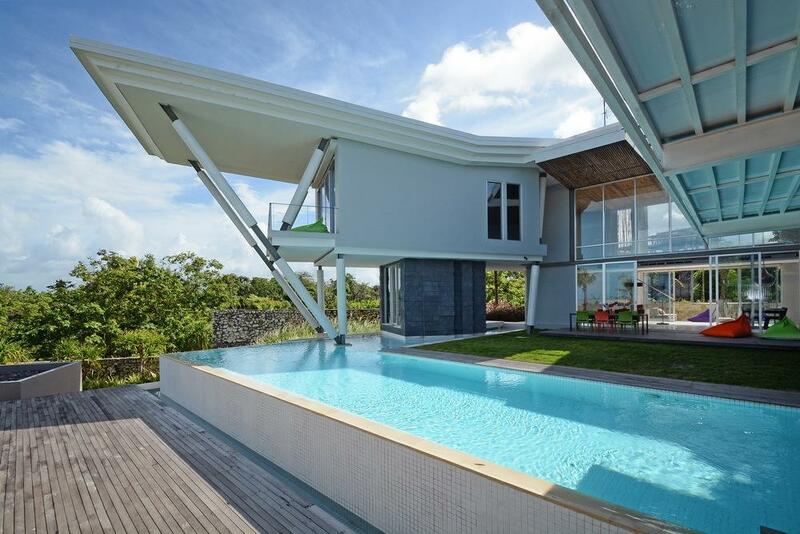 The modern architecture transmits purity and simplicity, while giving the Villa the shape of a Boat. 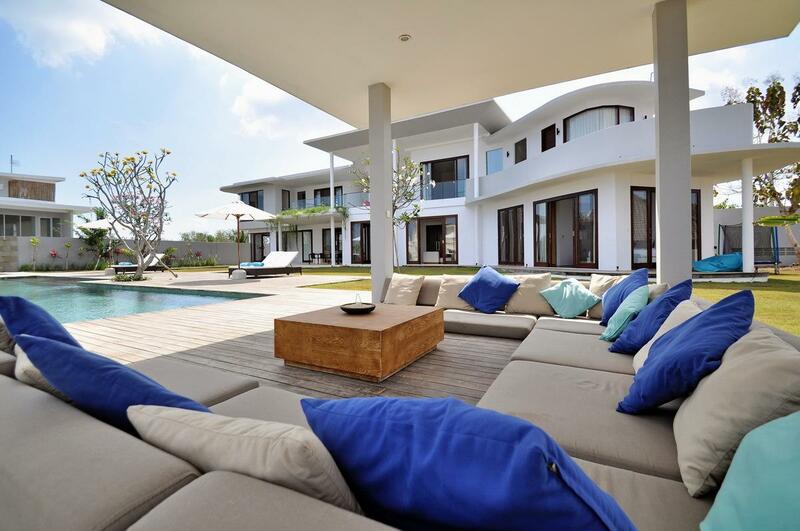 All is done to ensure guest will enjoy the highest level of relaxation and comfort all around the Villa. 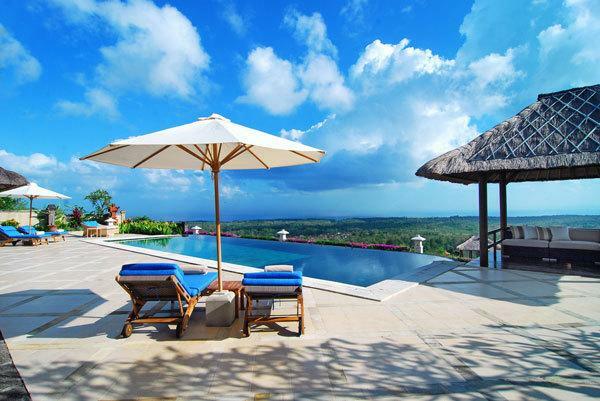 This luxurious villa located in the southwestern rim of the Bukit Peninsula was named Balangan Sunset for a good reason: 300 meters from Balangan Beach one of best surf point in Bali, the Sunset is astonishing. If you are looking for a peaceful holiday in Bali, with the best view on the ocean and also stay within a 30 minutes drive from the Airport and Seminyak, Villa 384 is your best match. 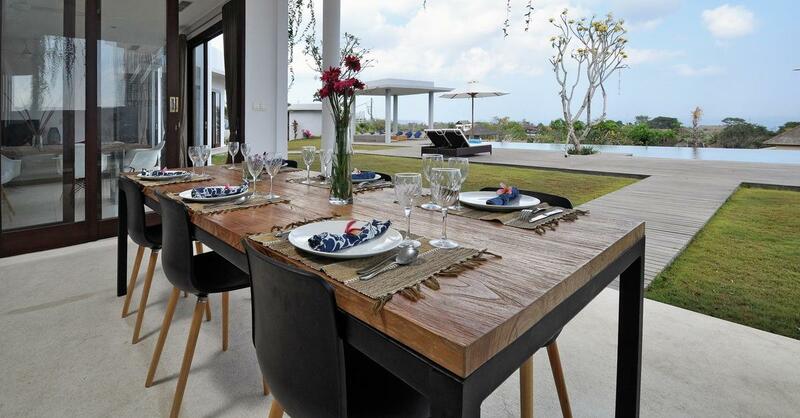 Should you like Golfing, you are at a 5 minute drive from the remarkable 18-hole New Kuta Golf. 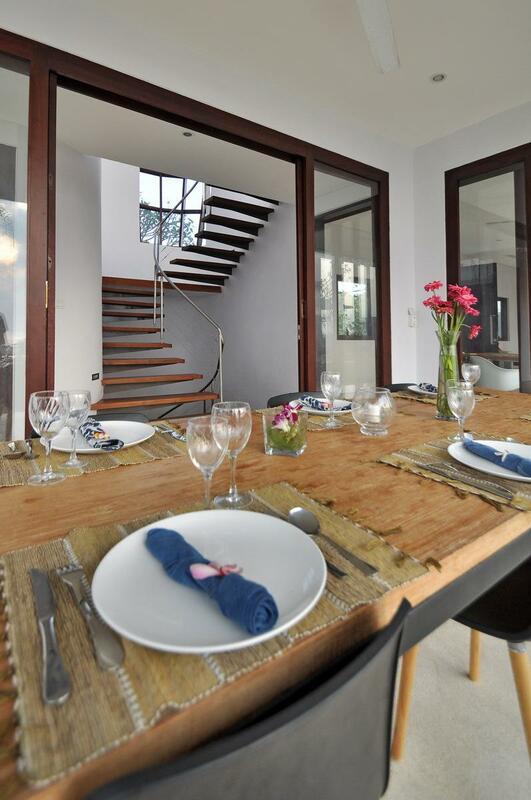 Entering the villa, you will find a spacious Living and Dining room, with a large and fully equipped TV. 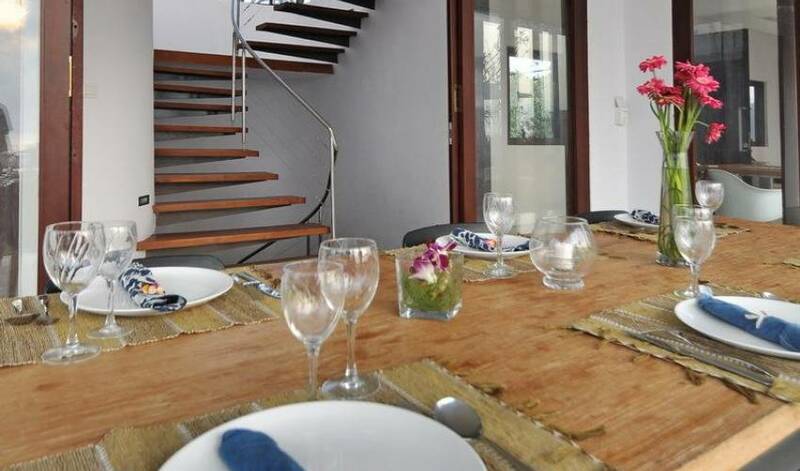 On your right you will find the modern Kitchen and a gym room, both with view on the garden. On your left you access to the master bedroom with dressing and ensuite bathroom. The stairs will lead you to a cozy open space living area, from which you may relax and admire the view with different perspective including the sunset. The 3 guest rooms upstairs with their dressing , ensuite bathroom and one office are connected to this living area, two of them with a great ocean view from the shower. It is difficult to know which part of the Villa has the best sunset view. What is important is that, no matter what you are doing, the view is always there. 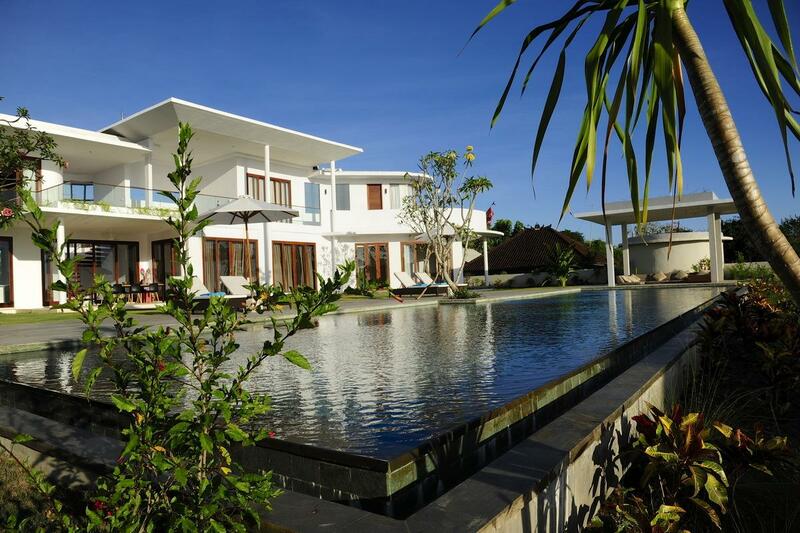 The living room downstairs has large door windows to embrace the view when inside, which open up to the outdoor open space living area, with the 20 meters long infinity swimming pool in front equipped with a salt chlorinator and a fine modern gazebo next to it. 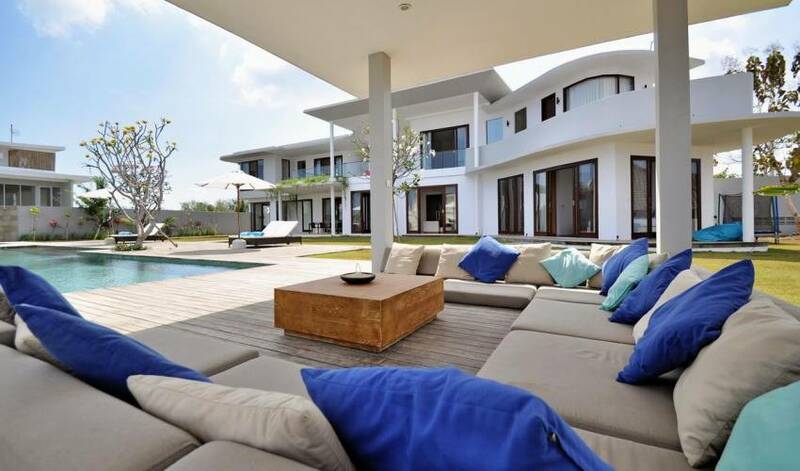 Both are designed to continue expanding the space around you, offering a new level of peace and relaxation. Last but not least, the entrance of the Villa features a garage big enough to fit 2 cars, one staff area including a laundry, a dedicated surf storage room and a generator room, in case of power cuts.